The Just Joans came to my attention via WeePOP! Records, who have released a few mini EPs by the group: Virgin Lips, Hey Boy…You’re Oh So Sensitive and Love And Other Hideous Accidents. Their latest is titled Your Pain Is A Joke Next To Mines, and it is now available, again, via WeePOP! 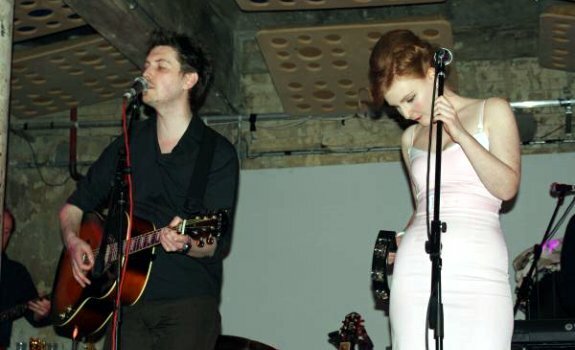 “Stuart Had A Dirty Book” is from the 7-song EP, and it blends thick Scottish accents with playful but mopey pop. It’s a typical song by The Just Joans, catchy and fun but with a sad tone that’s impossible to overlook. Most songs on Your Pain fit this mood, though “Boyracer (Baby’s A)” stands out above the rest with an immensely catchy beat and undeniably catchy vocal hooks. The band writes songs about heartbreak, lewdness, and pop. And “Stuart Had A Dirty Book” is a great introduction to a little band from Scotland that a lot more people should know about. Scottish accents, playful/mopey pop, and Freaks and Geeks sampling (! ).